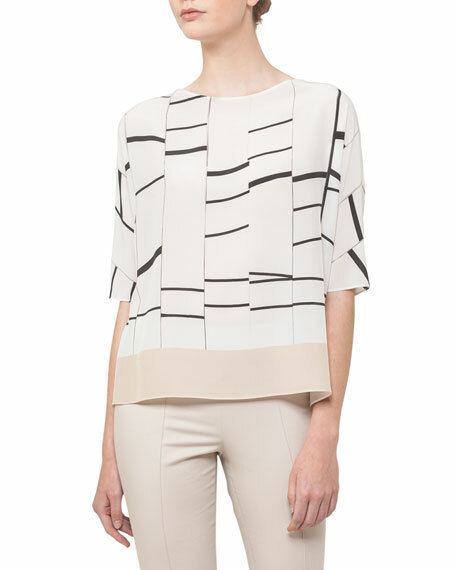 Akris top in Broken Stripes print. For in-store inquiries, use sku #2297349. 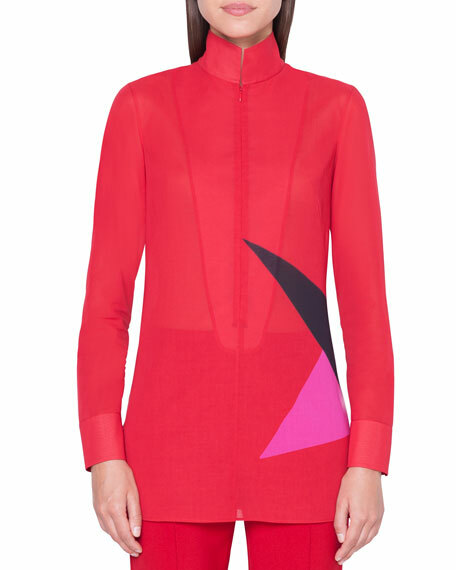 Akris long tunic top in semisheer voile with graphic double diamond print. Stand collar; front zip. Narrow back keyhole. Long sleeves with barrel cuffs. Side slits. Cotton. Imported. 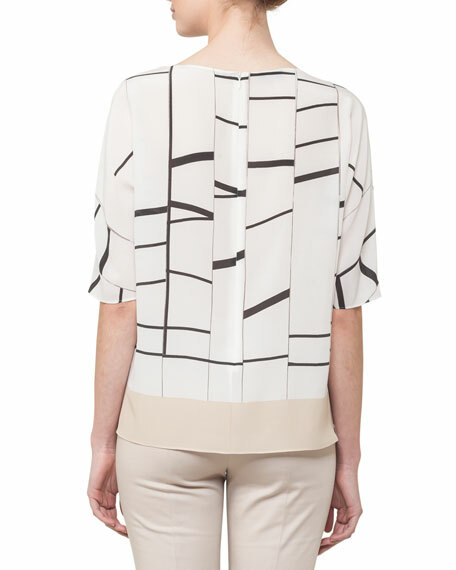 Akris tunic blouse in cashmere-cotton flannel. Shirt collar; concealed button front. Long sleeves; notched cuffs. Self-tie belt. Front patch pockets. Relaxed fit. Lining, viscose. Imported. 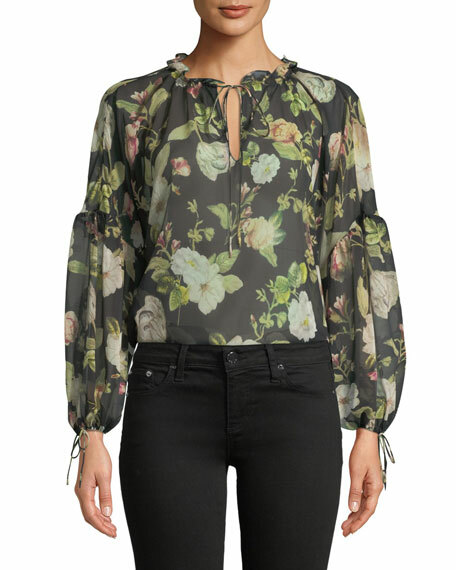 Alice + Olivia "Julius" tunic-style blouse in sheer, floral-print silk. Approx. 23"L from shoulder to hem. Gathered collar with adjustable self tie. 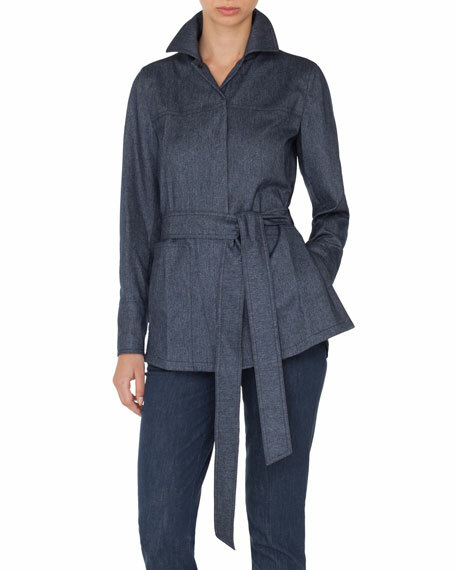 Long blouson sleeves with tie cuffs. Easy fit. Silk. Imported. 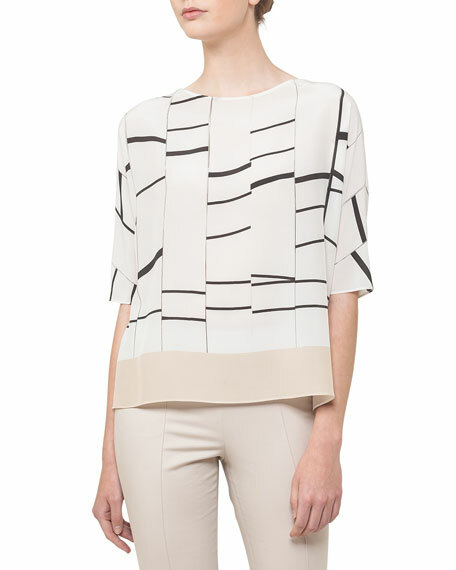 Alice + Olivia "Julius" tiered-sleeve tunic top in silk. Approx. 23"L from shoulder to hem. 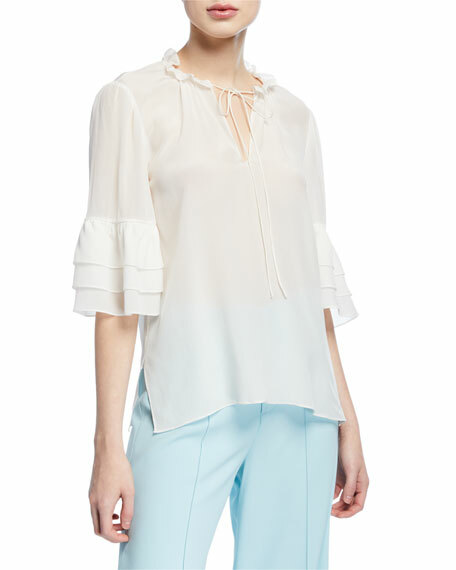 Split neck with adjustable ties; ruffle trim. Half sleeves; layered cuffs Relaxed silhouette. Vented sides. Straight hem. Pullover style. Silk shell. Imported.